Local Chapter #1024 of the Greek Orthodox Ladies Philoptochos Society, Inc.
Our mission is to aid the poor, the aged, the hungry, the needy and the sick with discretion, courtesy and kindness. The Greek Orthodox Ladies Philoptochos Society is the philanthropic arm of the Greek Orthodox Archdiocese of America. It has offered 85 years of philanthropy through a multitude of programs that make a difference in the lives of people in the United States and throughout the world. Its mission is to help the poor, the destitute, the hungry, the aged, the sick, the unemployed, the orphaned, the imprisoned, the widowed, those with disabilities and the victims of disasters. The Philoptochos responds immediately to needs and crises and its philanthropic outreach extends to each area of the country, through chapters like ours, and around the world through chaptersâ€™ financial contributions to National Philoptochos endeavors. The Saint Andrew Ladies Philoptochos of Randolph provides community service to the greater Morris and Sussex communities through fundraising and hands on philanthropic work. "An army of nobility and the jewel of our Church." The beginning of the Philoptochos Society can be traced to the late 19th century when hundreds of immigrants were arriving in the United States daily from Greece. In 1894, Father Paisios Ferentinos, who was serving Holy Trinity Church in New York City, with the assistance of Mrs. Amalia Feramoschos and Mrs. Penelope Eleftheropoulos, undertook the formidable task of welcoming the newly arrived and assisting them in acclimating themselves to their new environment. In 1902, the first Ladies Philoptochos was officially established at Holy Trinity Church where they applied for a charter to the State of New York as a philanthropic agency engaged in charitable activities rendering services to the poor. Today the Society includes over 26,000 members and 400 active chapters nationwide. In 2016, the National Philoptochos distributed $2.06 million in philanthropic aid. Saint Andrew Philoptochos welcomes new members to join us in continuing this tradition of helping those in need. 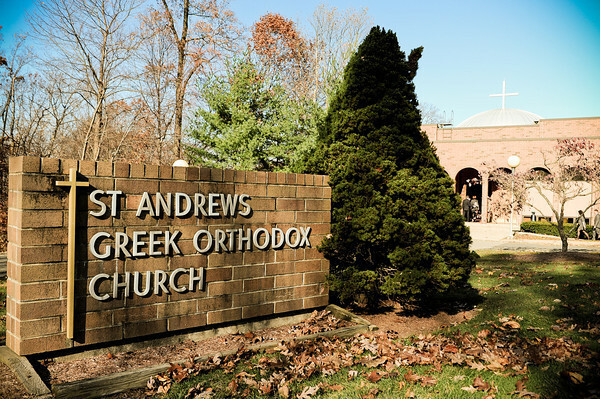 Contact Petra Knox, St. Andrew Philoptochos President, for more information or come to a general membership meeting held at Saint Andrew Greek Orthodox Church 1447 Sussex Turnpike in Randolph New Jersey, 973-584-0388, info@standregonj.org. Our chapter holds meetings at the church at 7pm on the 4th Tuesday of each month except June, July, August and December. Membership dues are $30 annually and are used towards National and Metropolis philanthropic efforts.